He may not always take the time to slow down and enjoy life, but if there's ever a time to do it, it's on his birthday! 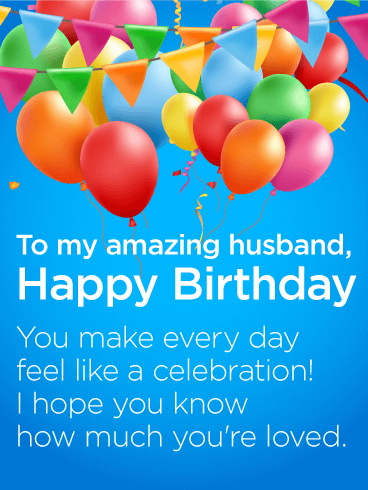 This birthday card is a special reminder to your husband to do what makes him happy today. The serene backdrop of a man fishing on the lake on a beautiful sunny day helps set the tone for the message below. It's his turn to relax and enjoy every moment to the fullest. After all, "nobody deserves it more!" 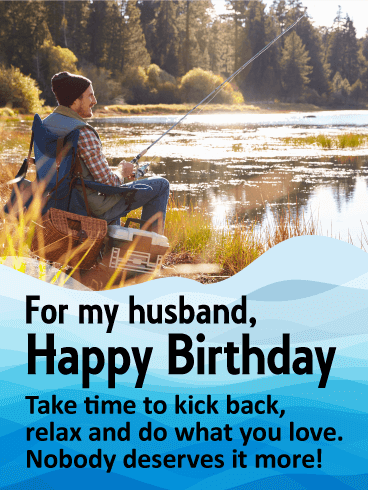 For my husband, Happy Birthday - Take time to kick back, relax and do what you love. Nobody deserves it more! 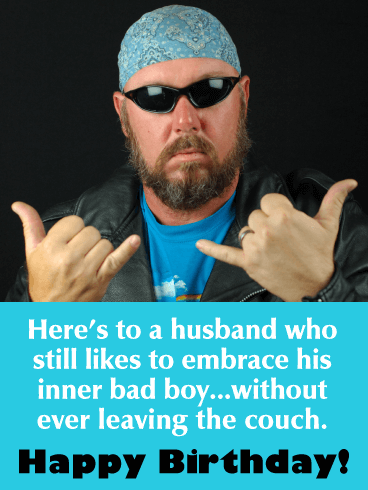 Three cheers for the "most caring, loving and wonderful husband around!" 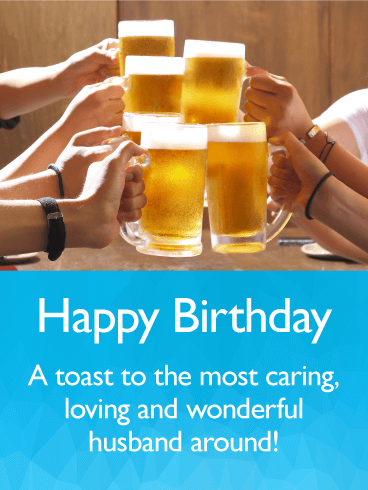 A group of friends raising a toast will put him in the mood for a party, while reminding him to celebrate his big day to the fullest. What a fun and festive surprise for the man of the hour as he celebrates another year of life! 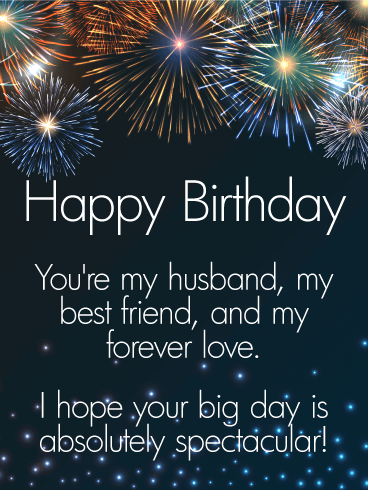 The perfect birthday greeting for wishing your significant other, your confidant, your best friend, your better half, your soulmate aka your husband a Happy Birthday! 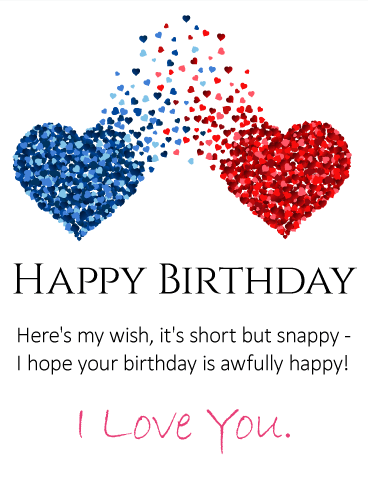 He's sure to be pleased that you remembered his special day with this charming, and heartfelt birthday card. 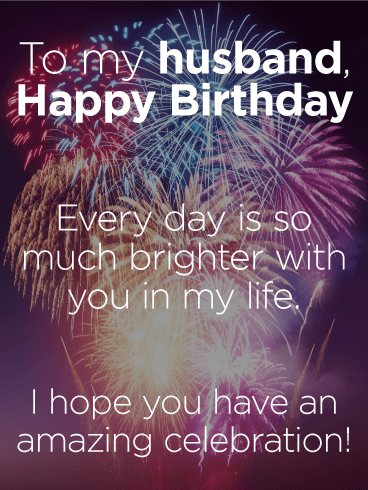 This Birthday Greeting for your hubby is short and sweet yet none-the-less meaningful. He's sure to love the "short but snappy" sentiment! 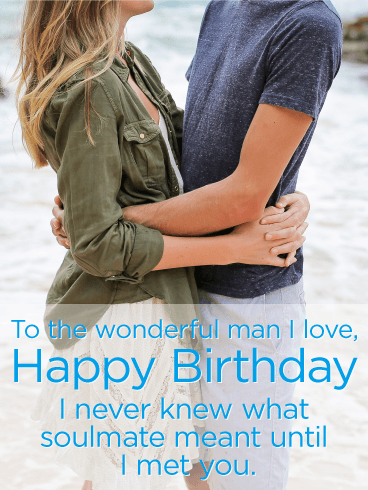 If overtly sentimental greetings aren't your thing - then this cute Happy Birthday card is well-suited for the man in your life! 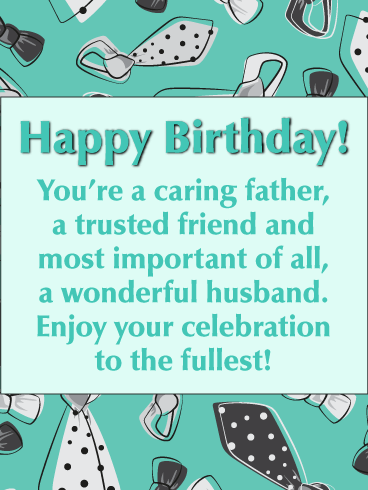 Your husband will surely be pleased about the fact that you remembered him on his special day with birthday card wishing him the Happiest of Birthdays! 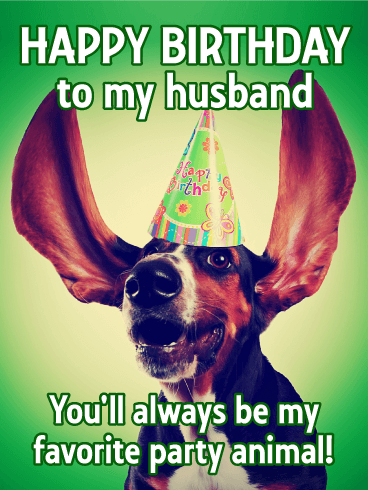 This birthday card for your significant other is both sweet, and thoughtful. 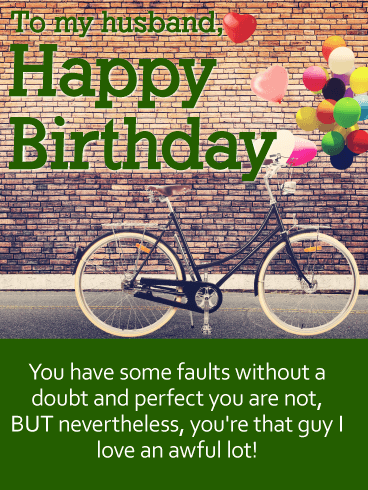 He'll surely love the contemporary design and the bunch of colorful birthday balloons! 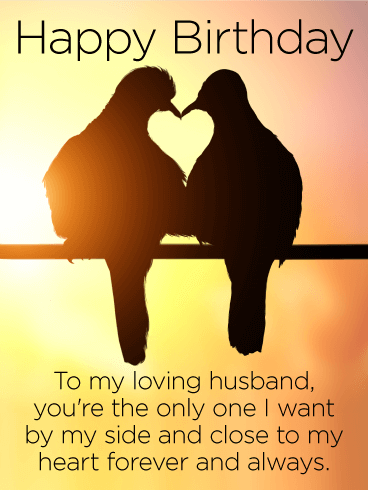 Sometimes we get so busy with life, we forget to show appreciation to those who we cannot imagine life without them, for example an amazing husband! 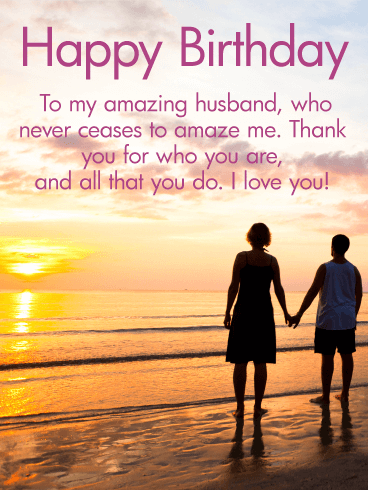 This loving and exquisite sunset birthday card is sure to resonate with the one you love, your husband on his birthday!